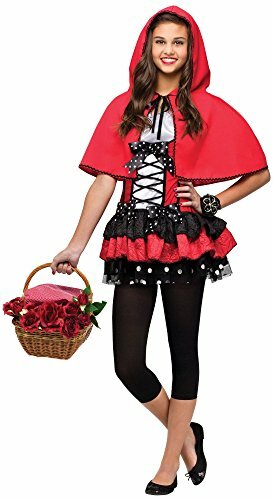 Wearing the Tween Little Red Riding Hood Costume will be a big deal for your daughter because this costume is a milestone in her growth. 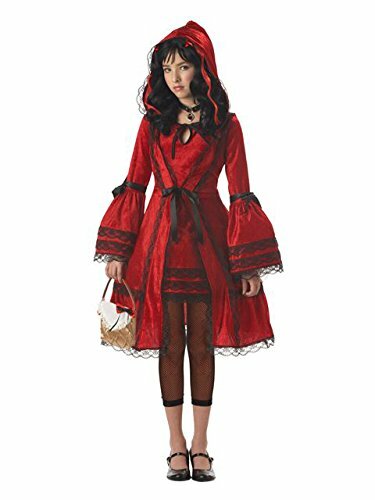 The outfit features a more mature dress that features lace trim, leggings, and a choker with an attached charm. 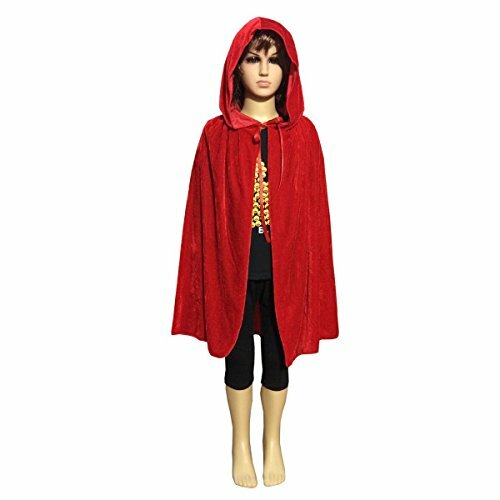 An outfit this premium-looking will have a huge impact on your growing daughter. 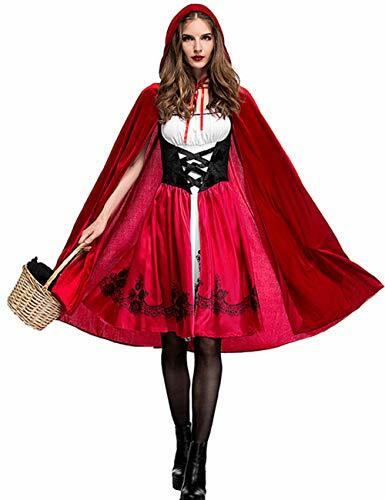 Head to your grandma's house in this Classic Red Riding Hood costume featuring a knee-length dress with white ruffled cups, a black bodice with lace-up detailing, a red and white skirt with black embroidered detailing, and a red cape with attached hood and tie closure. 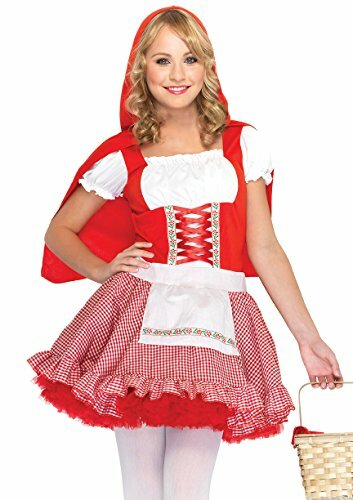 (Gloves, basket, and pantyhose not included. 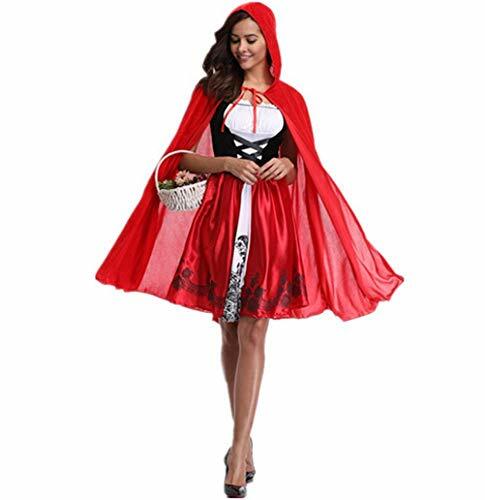 )Material: 95% Polyester and 5% spandexColor: RedLength: Above Knee LengthPackage Included: One-piece dress and cloak.Note: Please allow 1-2cm differs due to manual measurement, thanks (All measurement in cm and please note 1cm=0.39inch). 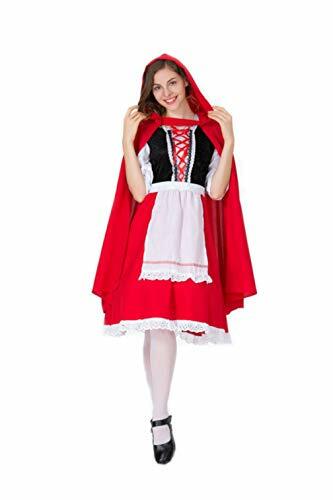 As different computers display colors differently, the color of the actual item may vary slightly from the pictures. Hope you understand.